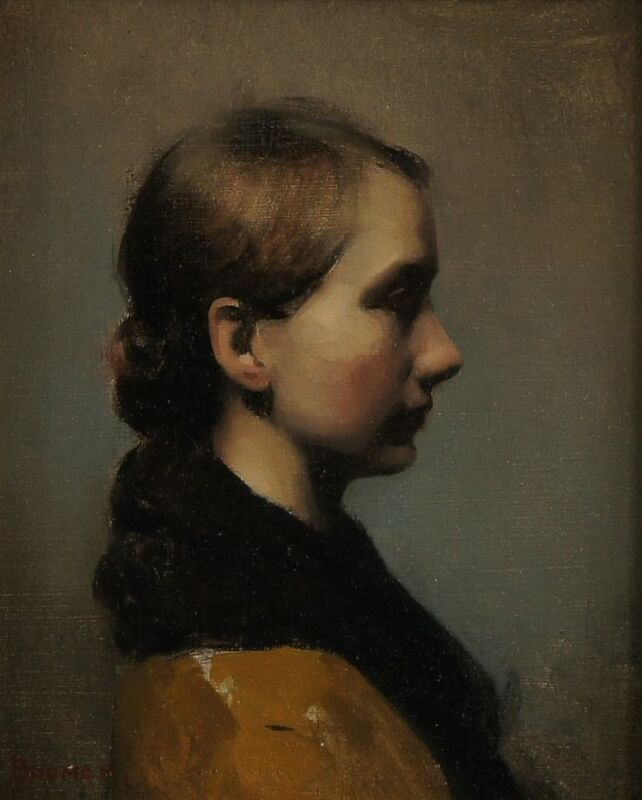 Cornelia Hernes was born and raised in Norway until the age of twelve when her family moved to Africa where Cornelia went to boarding schools in Kenya and Tanzania. 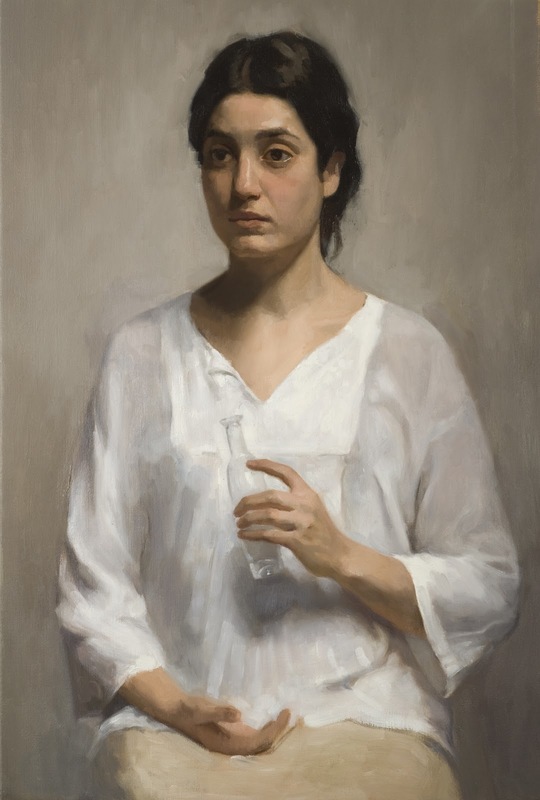 Much of her fascination with exploring the human condition through her paintings can be attributed to her early exposure to different cultures. 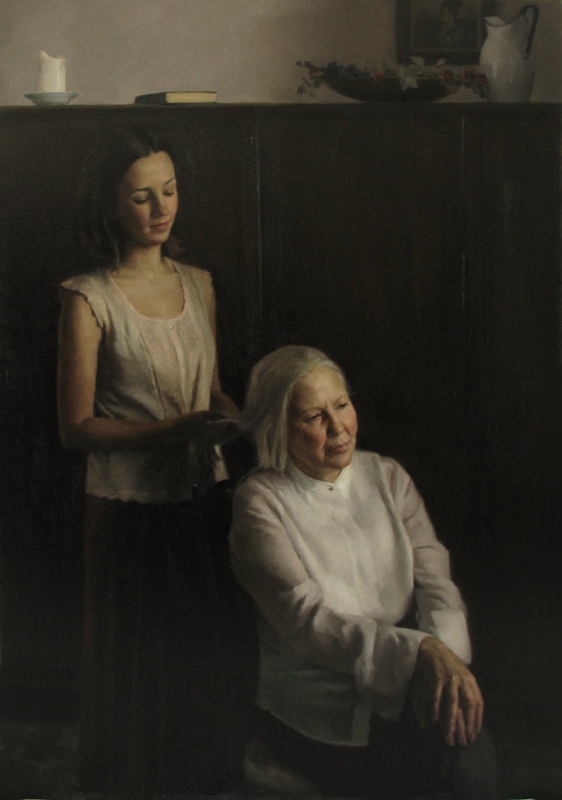 Her work is centered on portraying and evoking a large scope of emotions, ultimately with the aim of celebrating life. 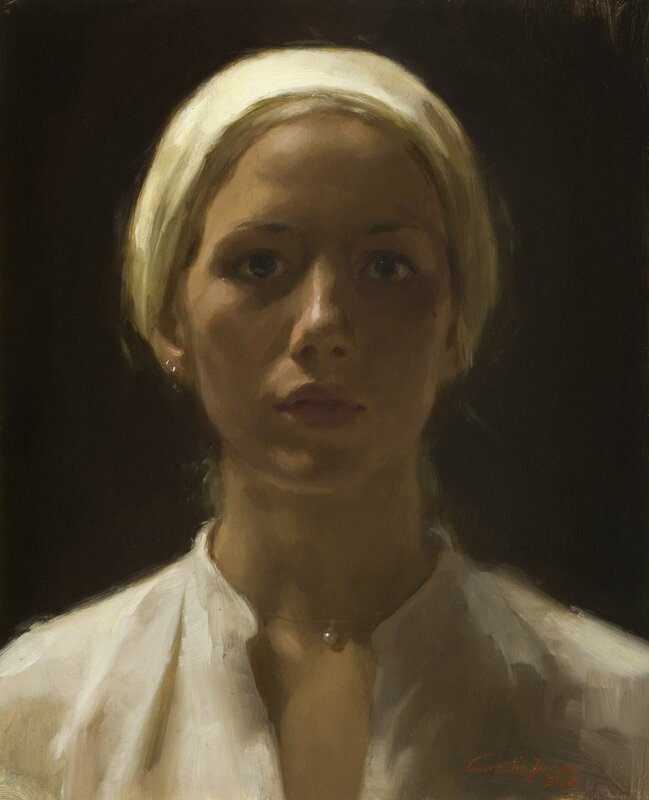 She achieved a Bachelors of Fine Art with Distinction from University of Victoria, British Colombia, Canada in 2004. 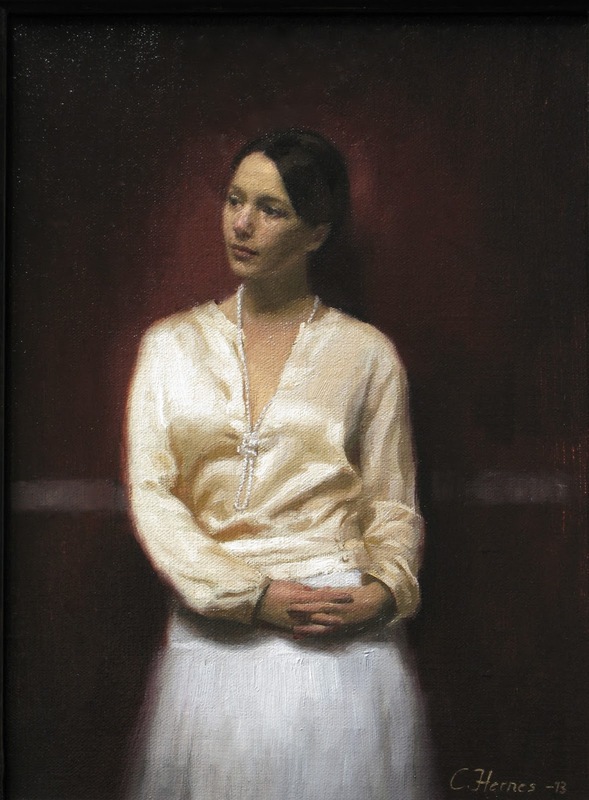 While in University she became acquainted with the paradigms of conceptual art. 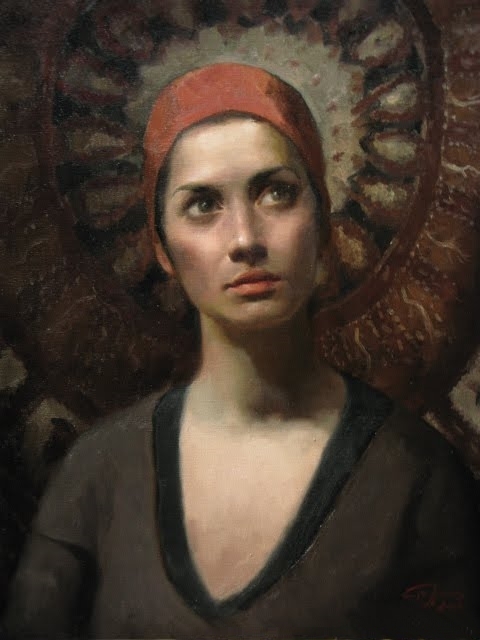 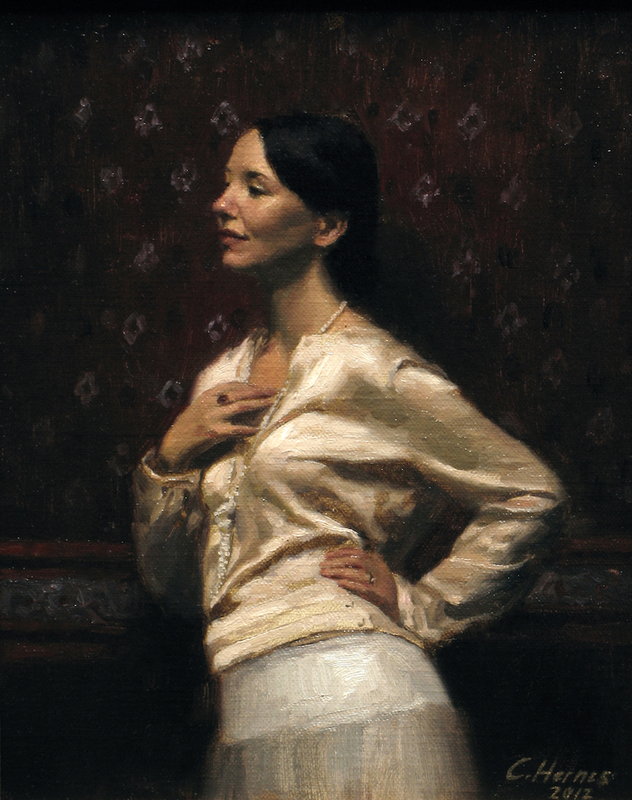 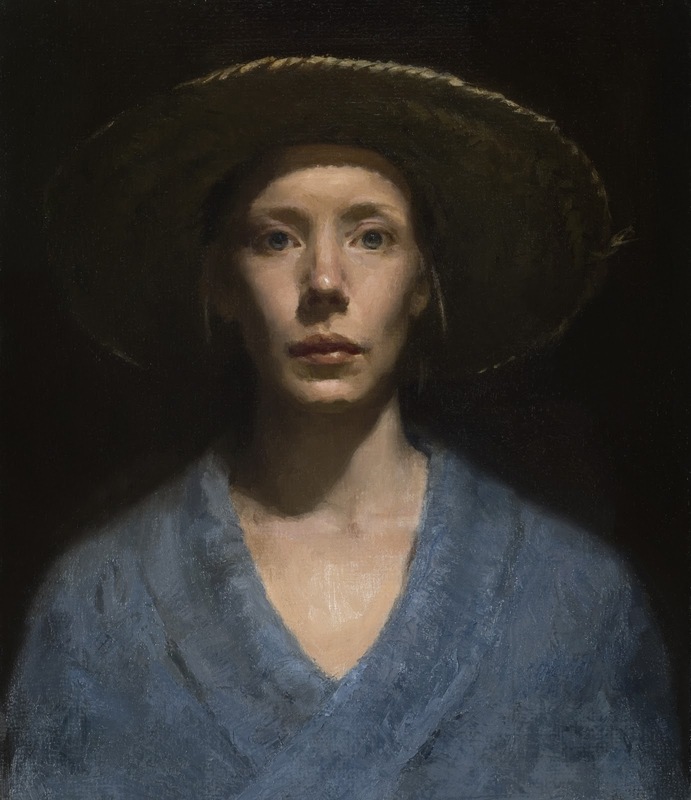 Following this degree, she pursued a classical realist training and graduated from the Florence Academy of Art in Italy summer 2007. 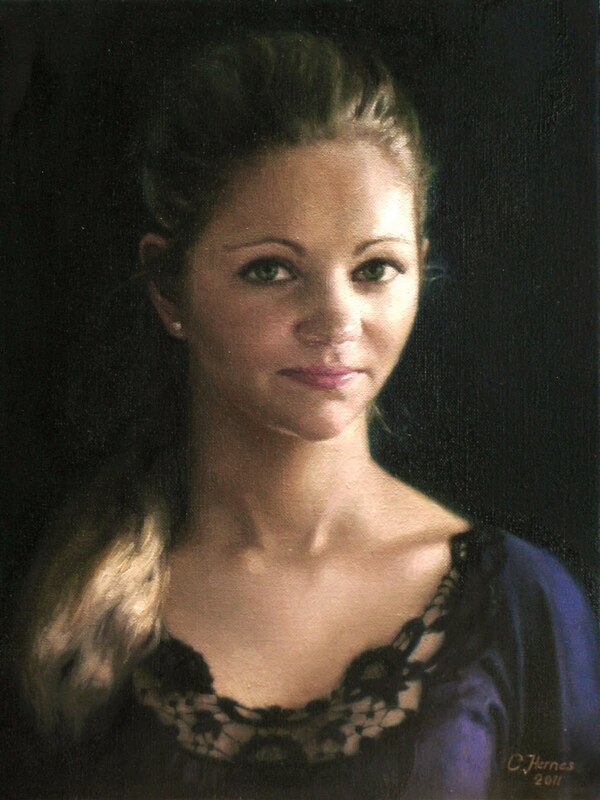 She began teaching at The Florence Academy of Art during her second year as a student, first as a Teacher Assistant. 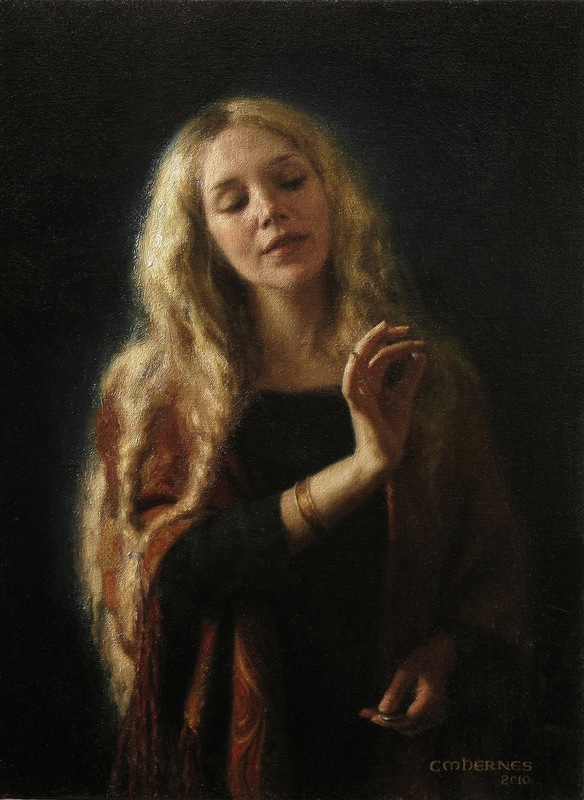 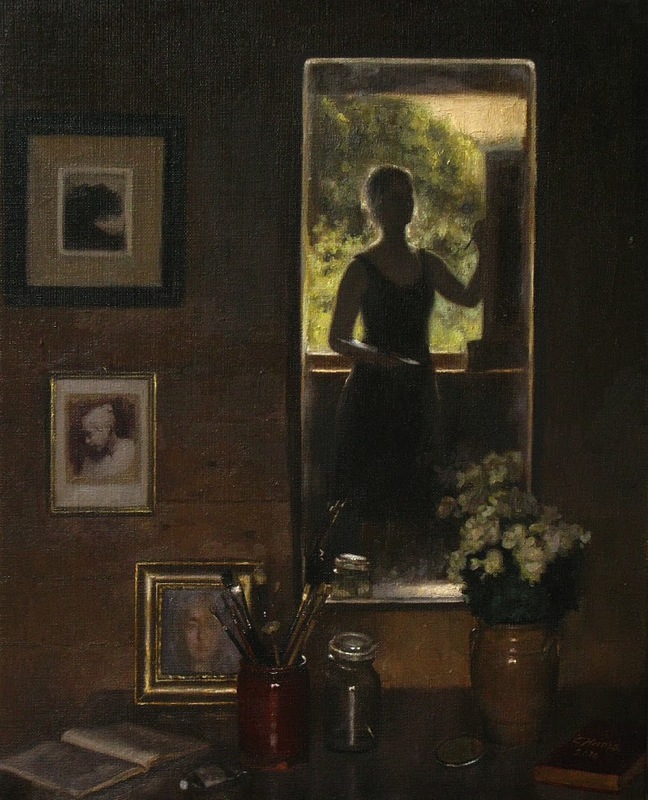 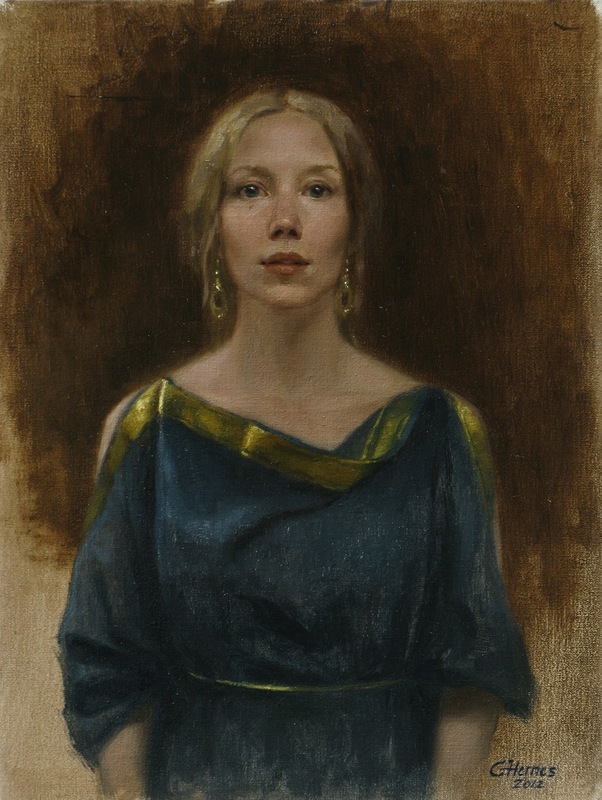 She currently lives in Sweden where she continues to teach as a principal Instructor at The Florence Academy of Art in Göteborg and where she has her studio. 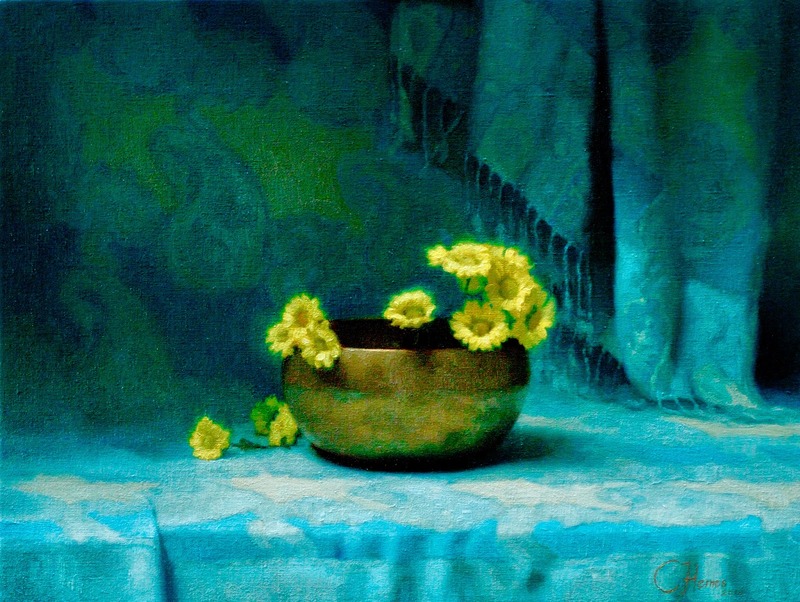 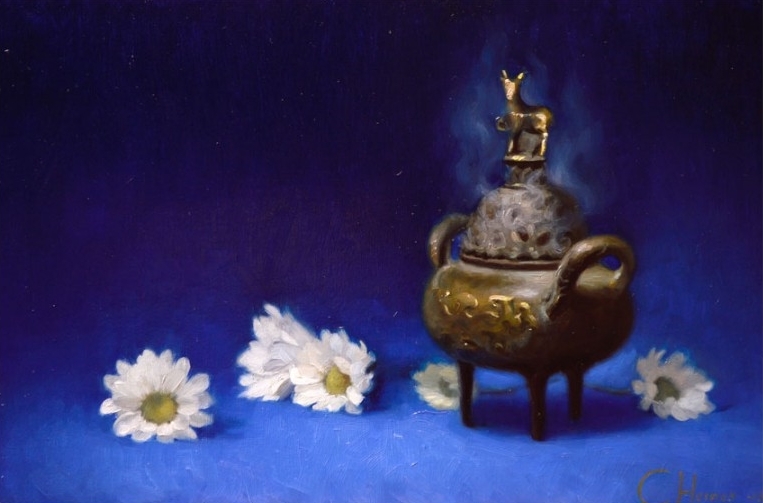 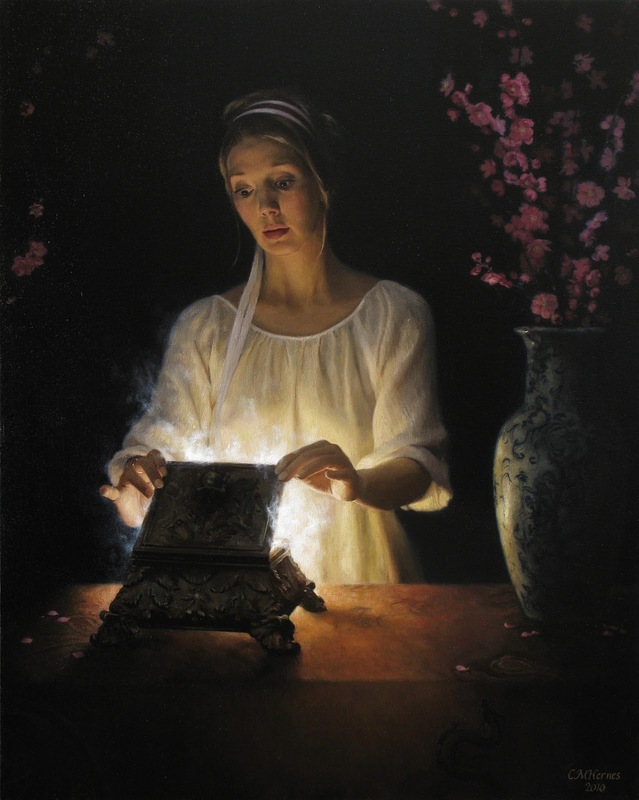 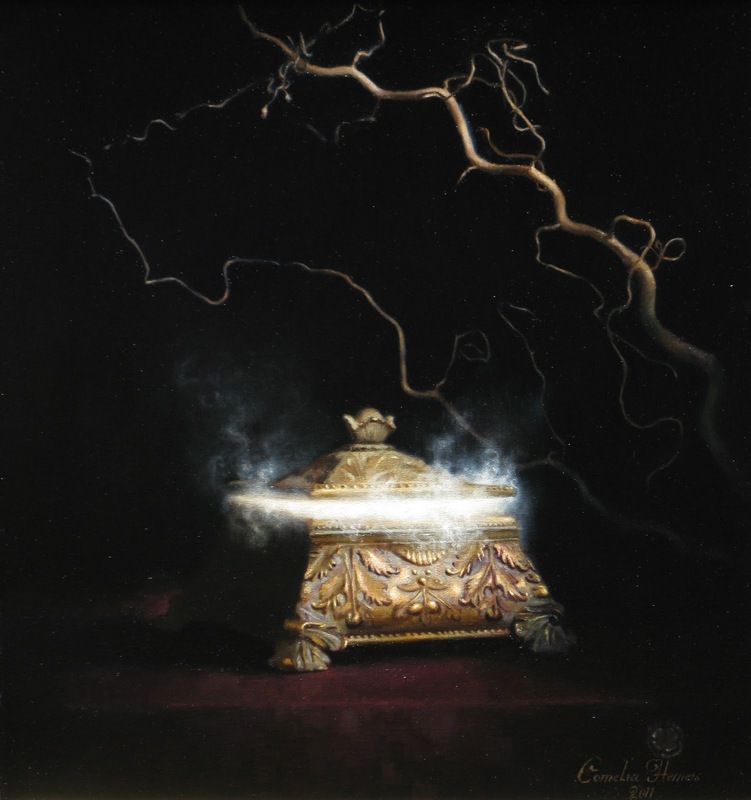 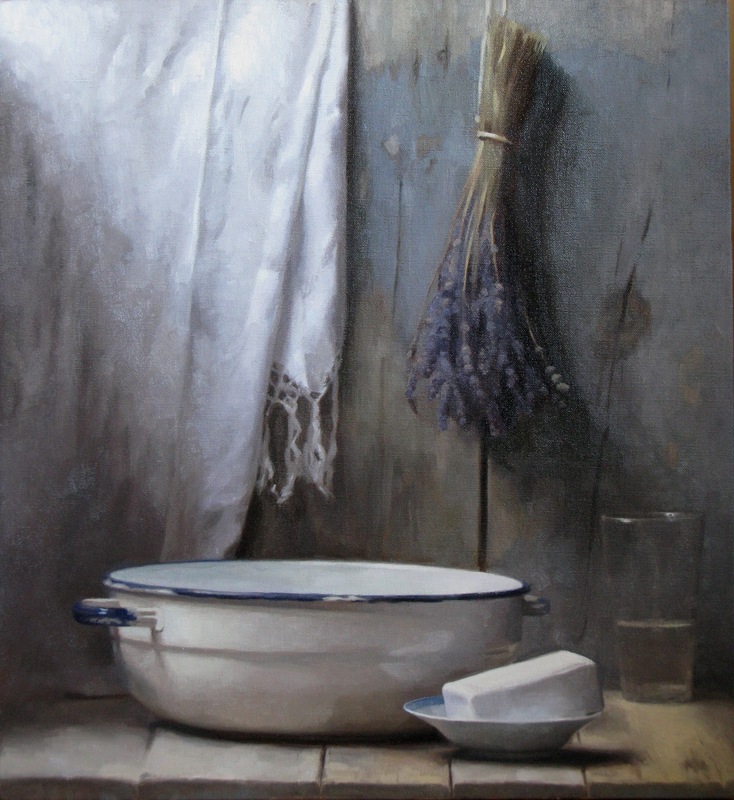 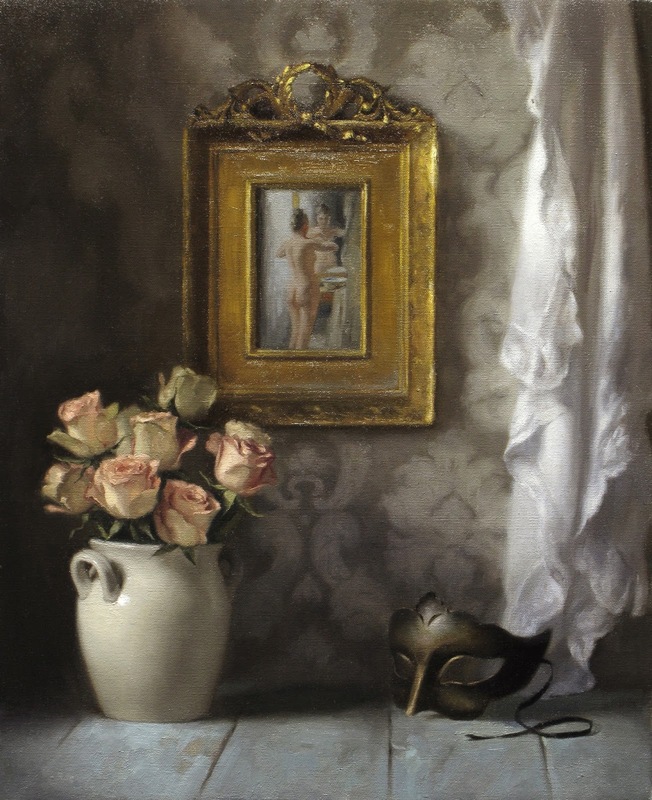 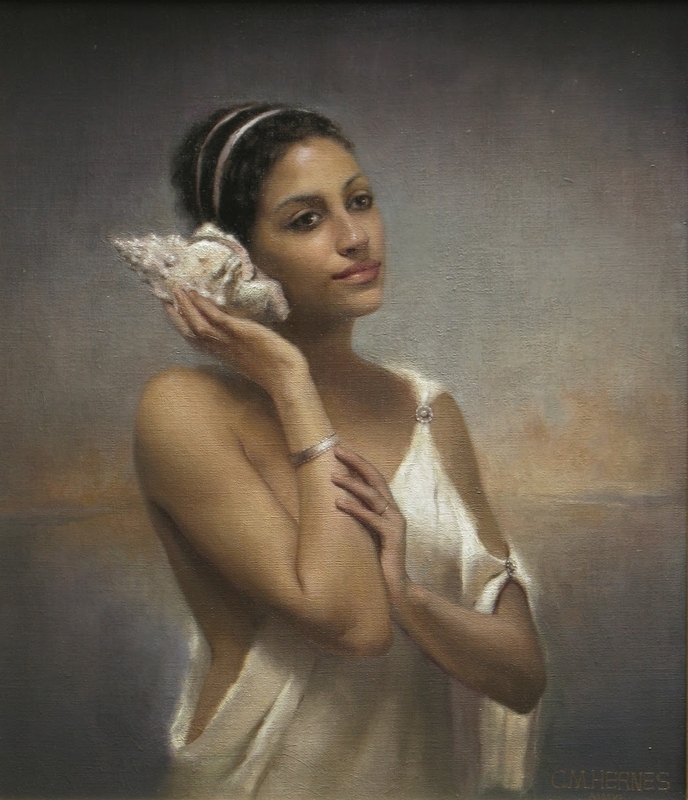 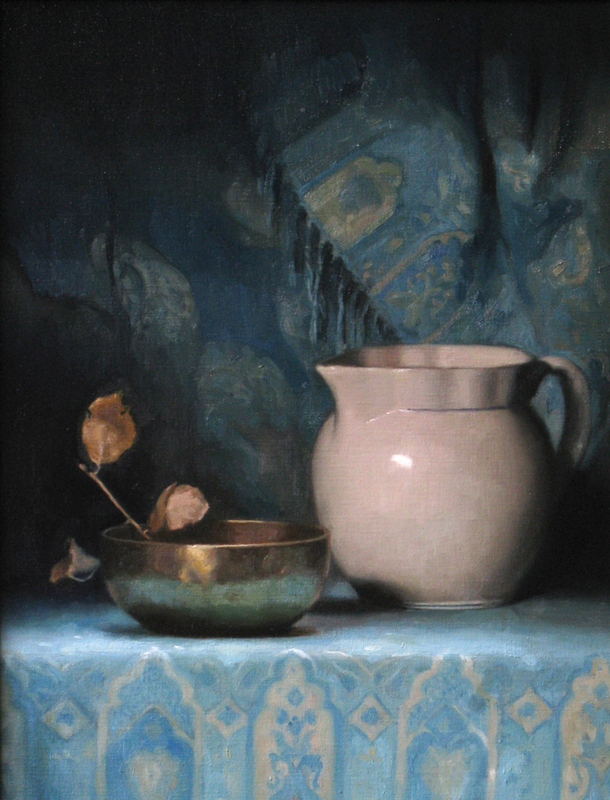 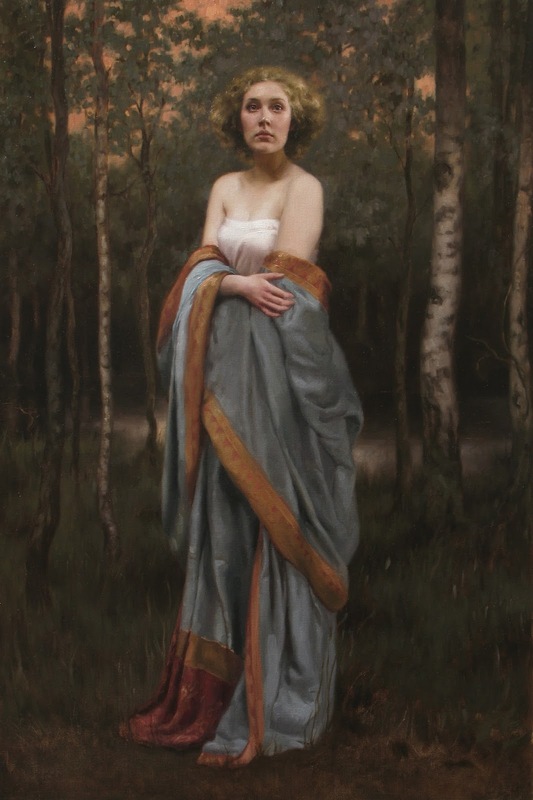 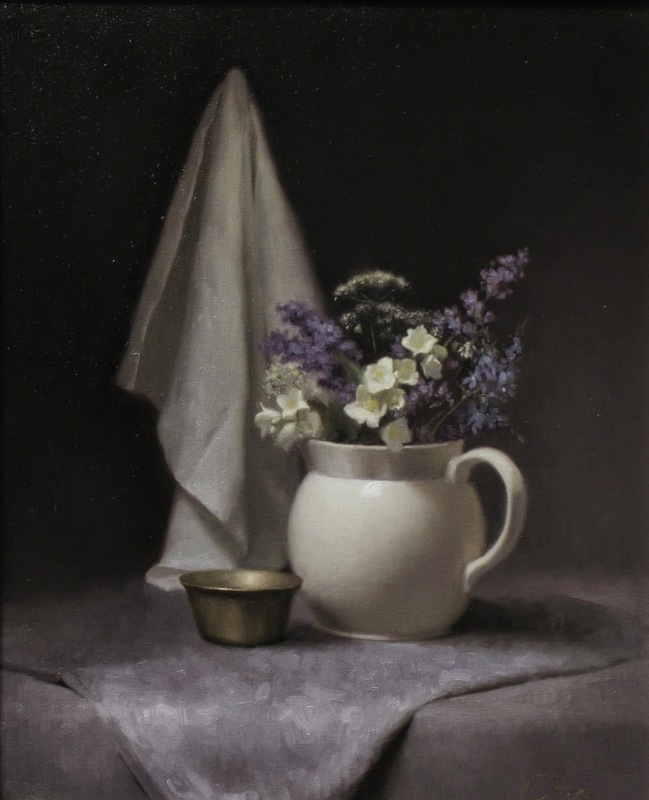 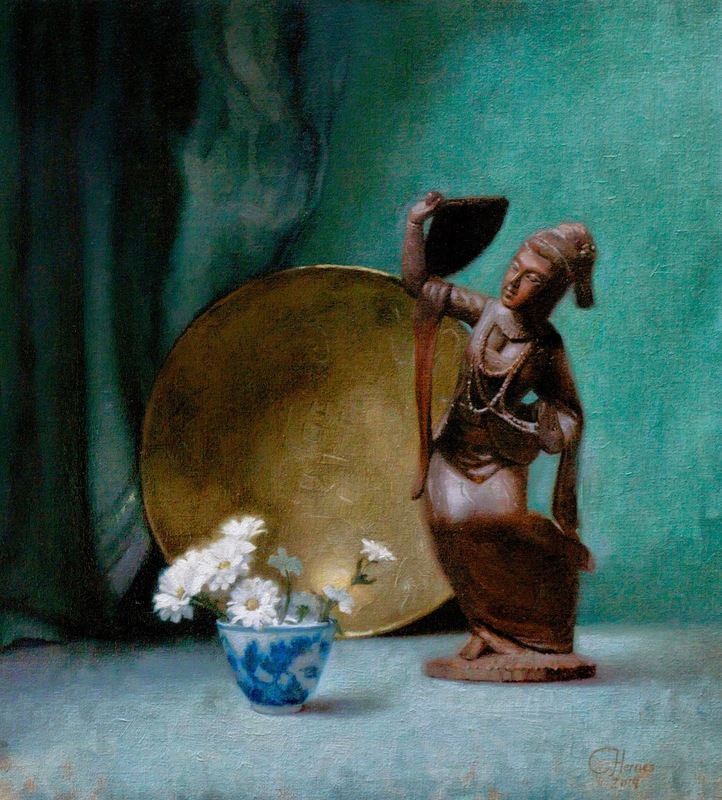 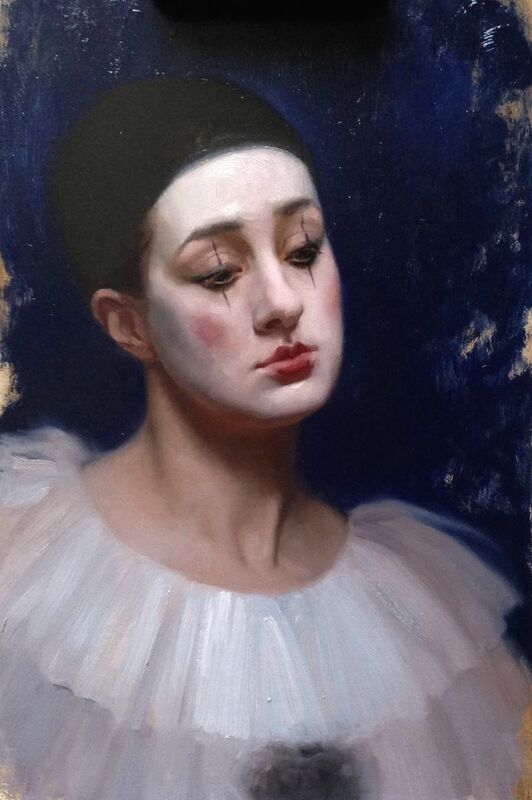 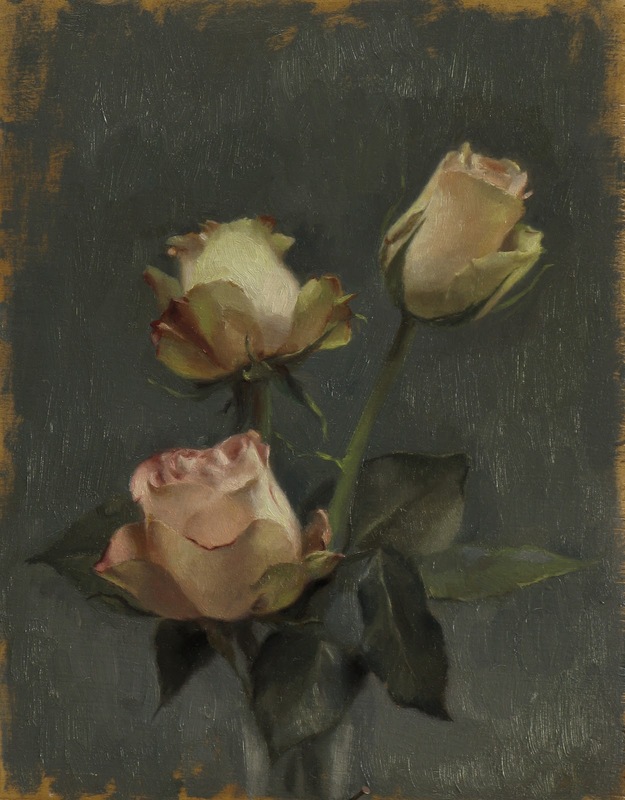 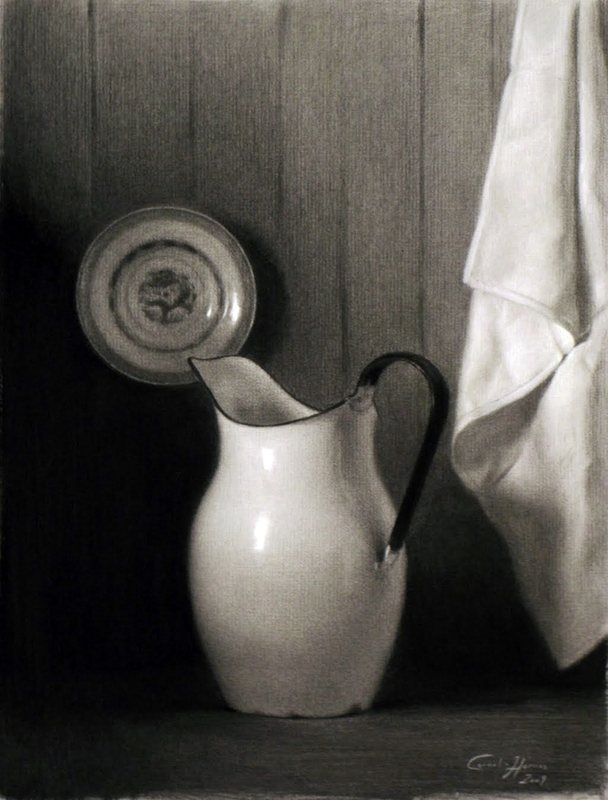 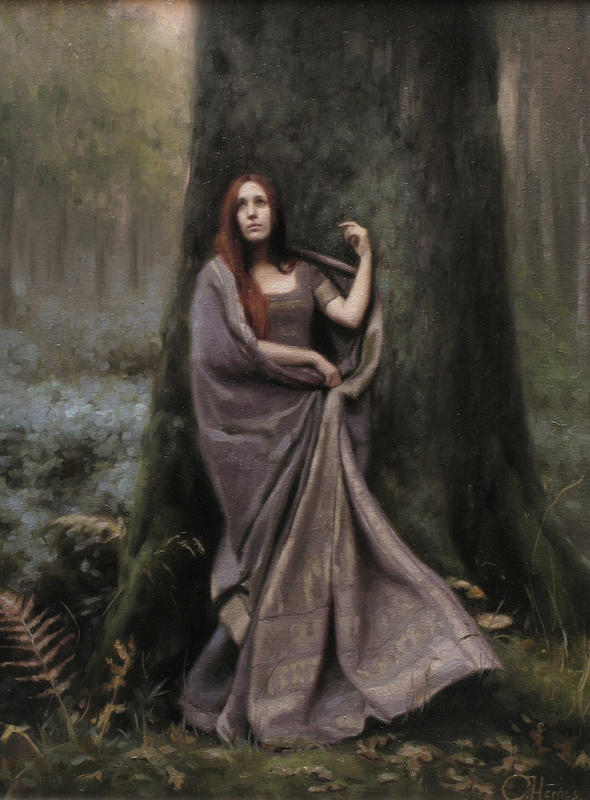 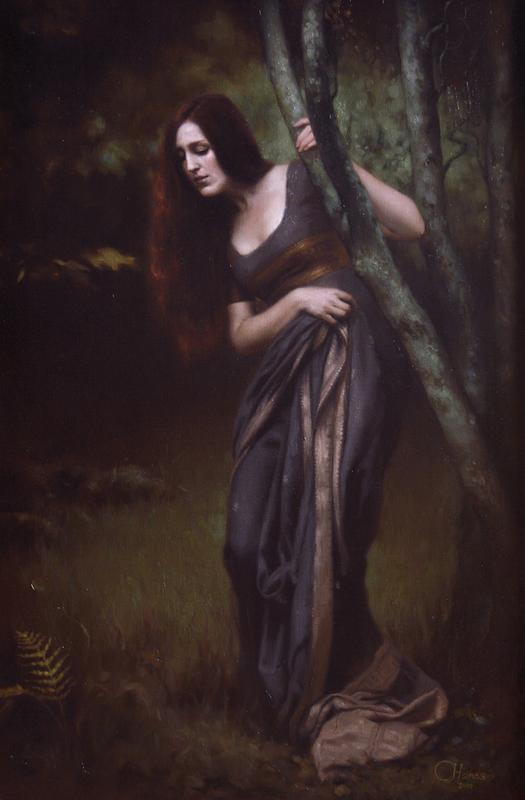 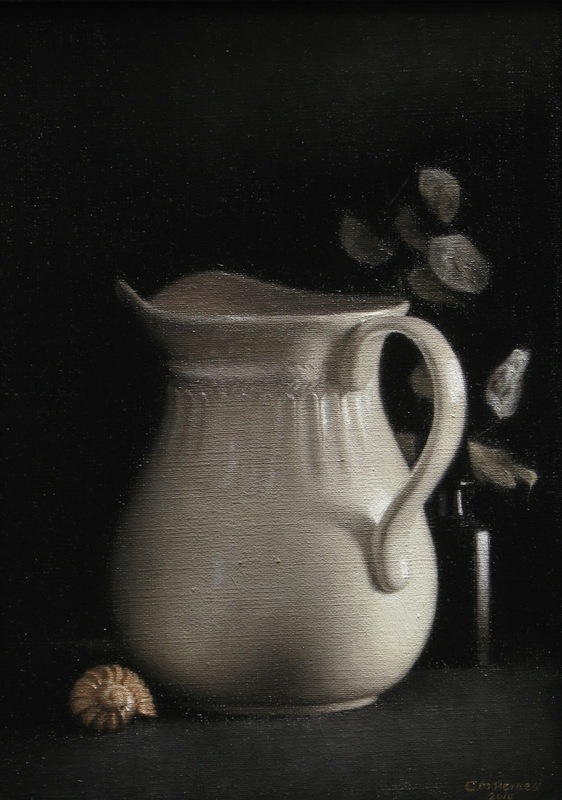 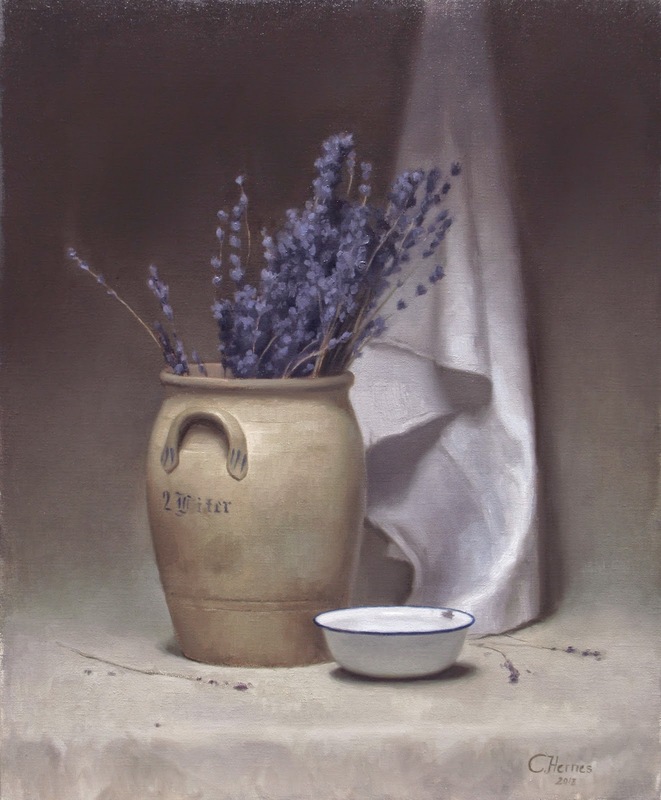 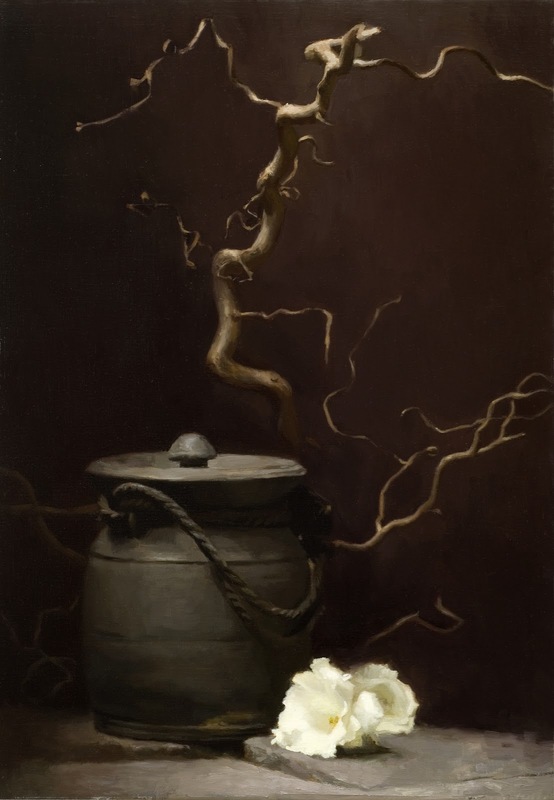 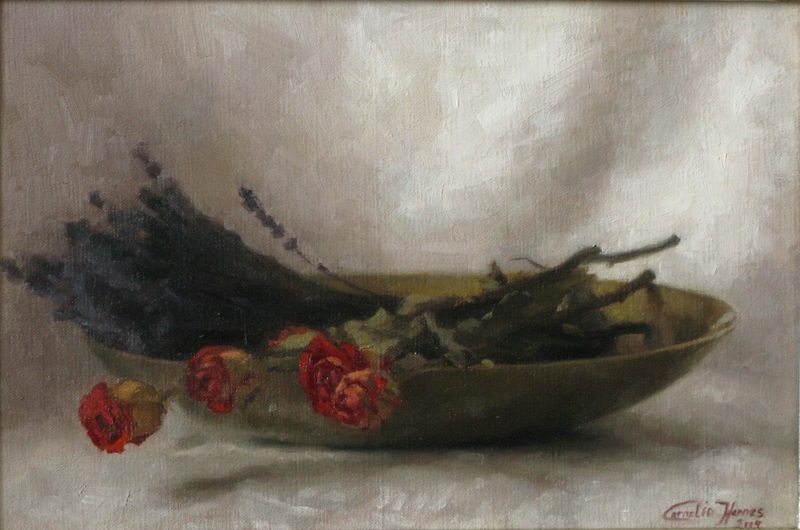 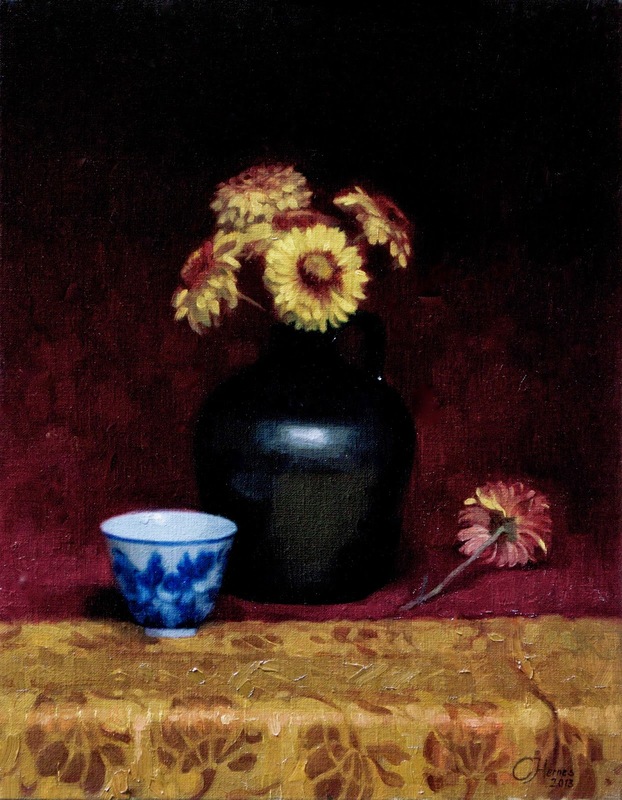 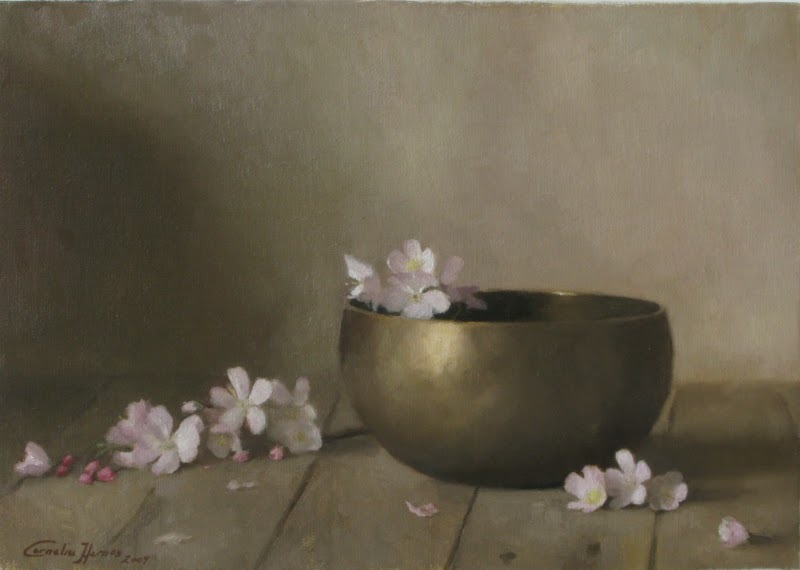 Since she began painting with oil on canvas in her late teens, Cornelia has been particularly interested in how to create a mood and a story through rendering human emotion and expression through a classical realist approach. 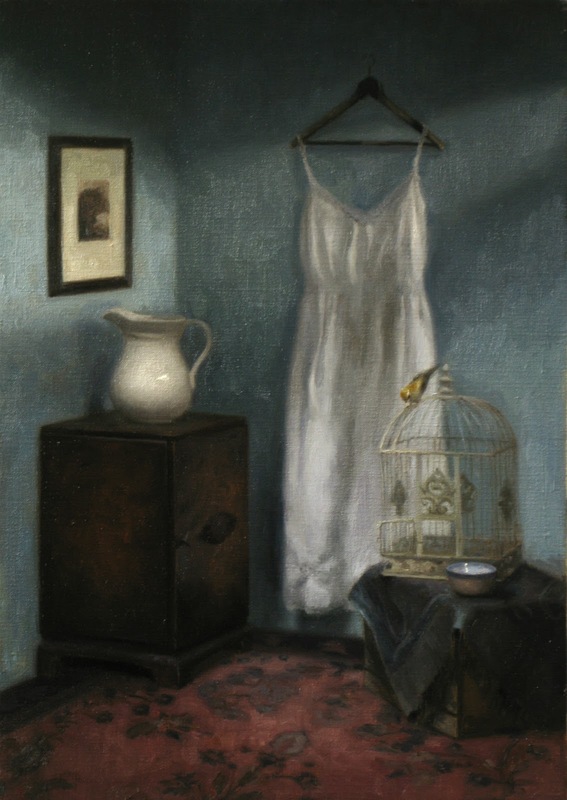 Her interests within painting have expanded with time to include the serenity of still-lives, the intimacy of interiors and the archetypical power of mythological themes. 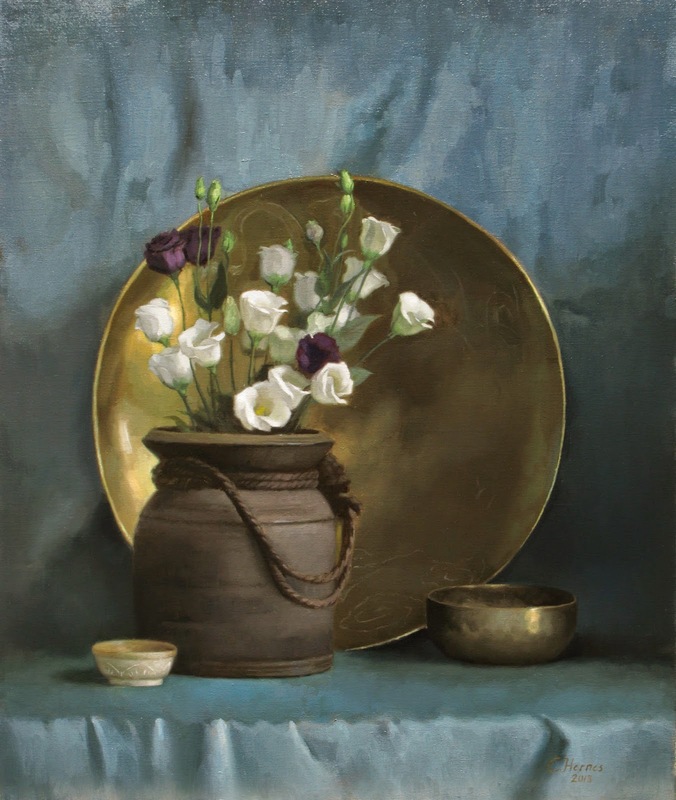 She enjoys painting images that are open to creative and personal interpretations, as well as meditative paintings that celebrate the boundless beauty of nature and life. 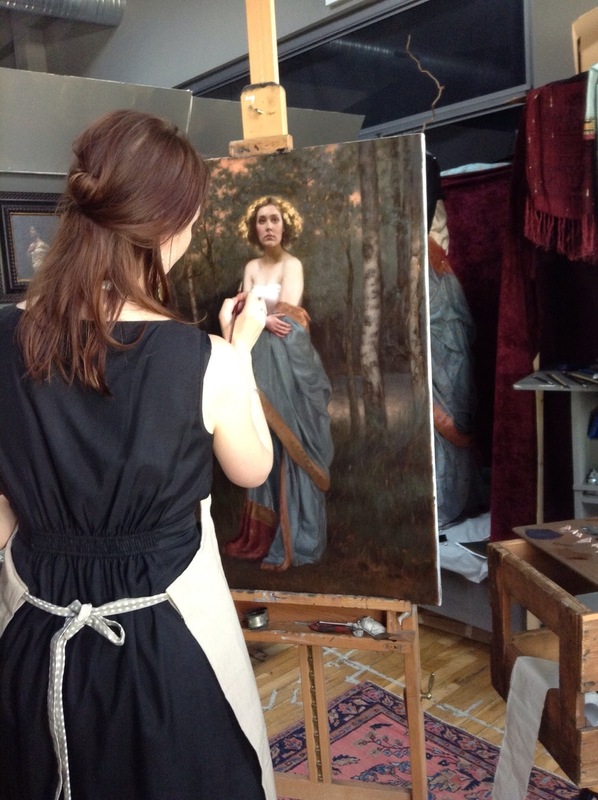 Currently, Cornelia is progressing with several projects simultaneously. 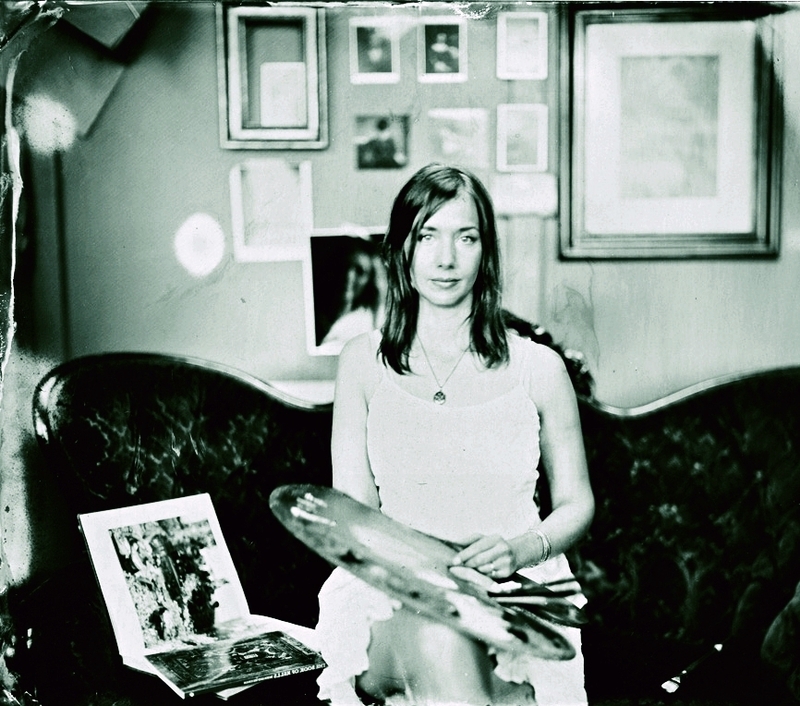 She is alternating between two landscapes and two thematic large scale pieces intermixed with several still lives. 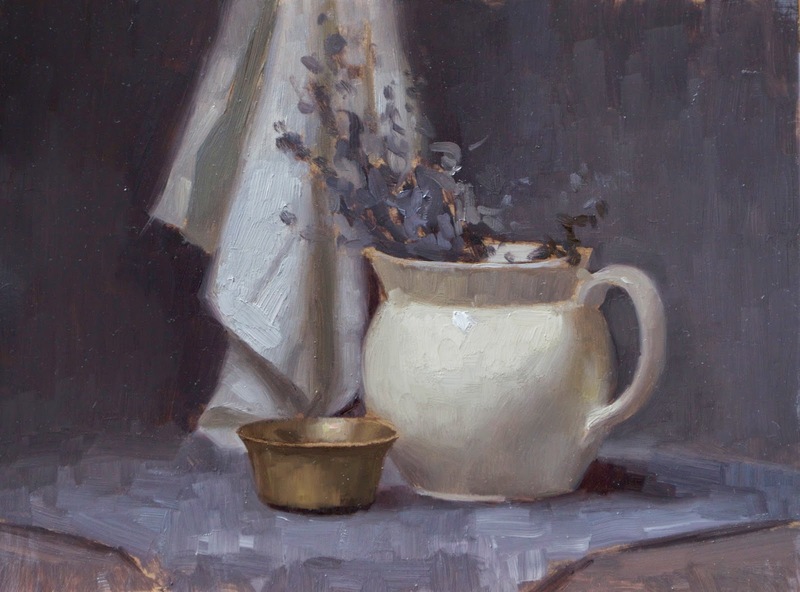 In addition to allowing each layer of paint to throughly dry, from a technical standpoint, this also allows her a fresh perspective on her projects as they move forward. 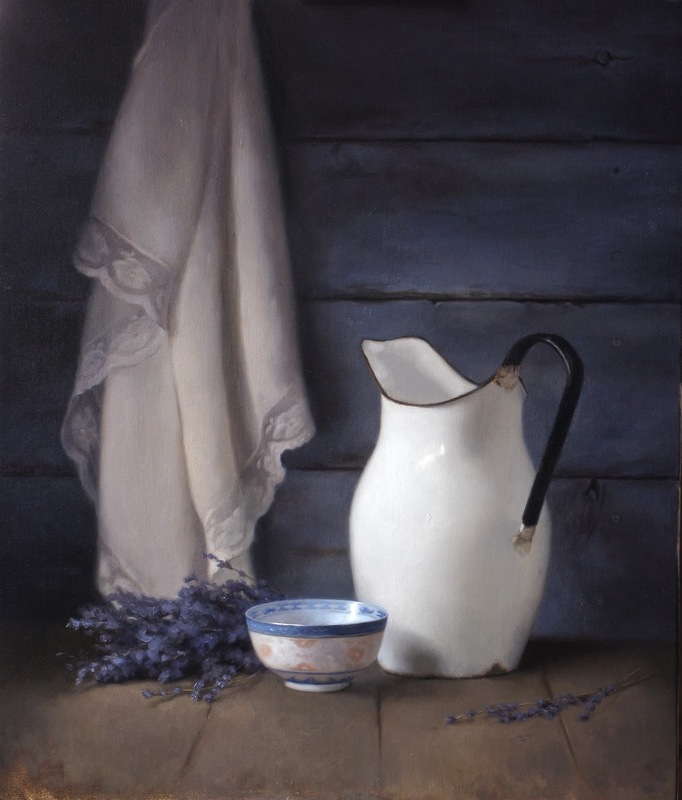 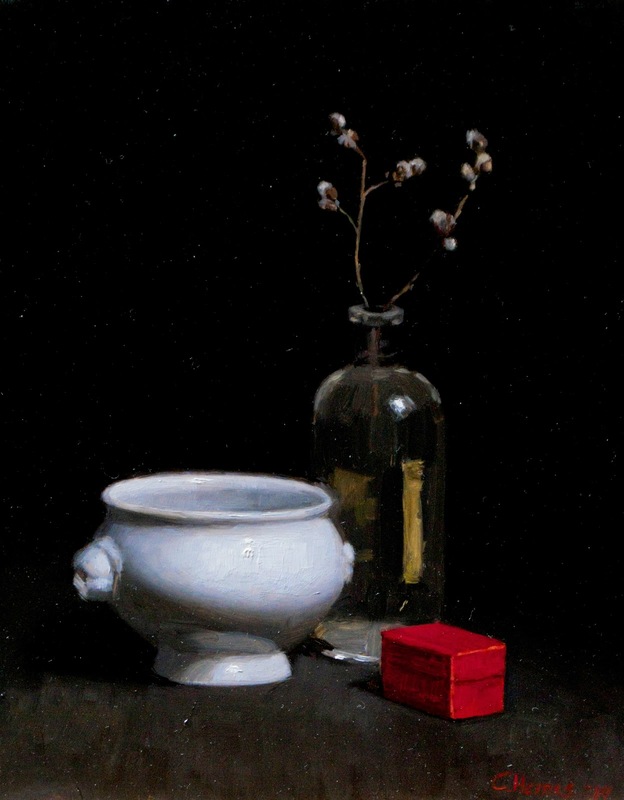 She is currently a Principal Instructor in Mölndal, and paints in her private studio. 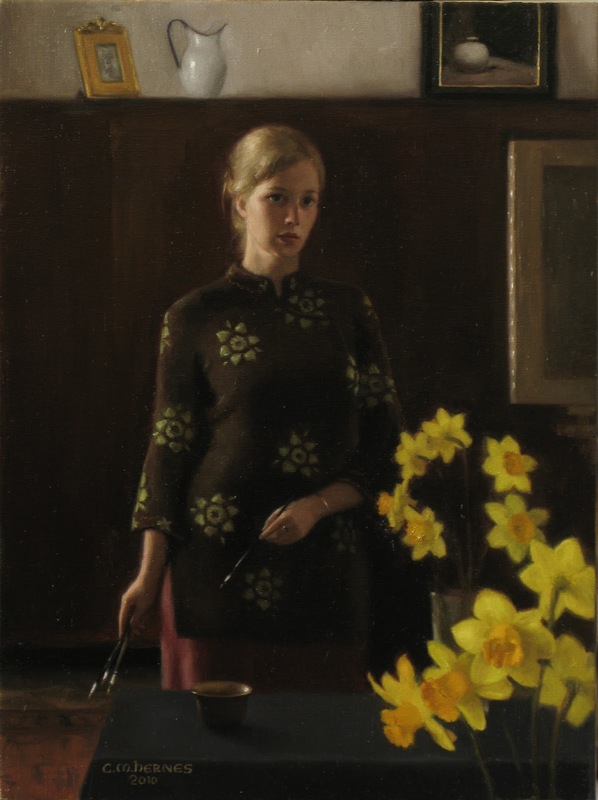 La pittrice Norvegese Cornelia Hernes è nata nel 1979. 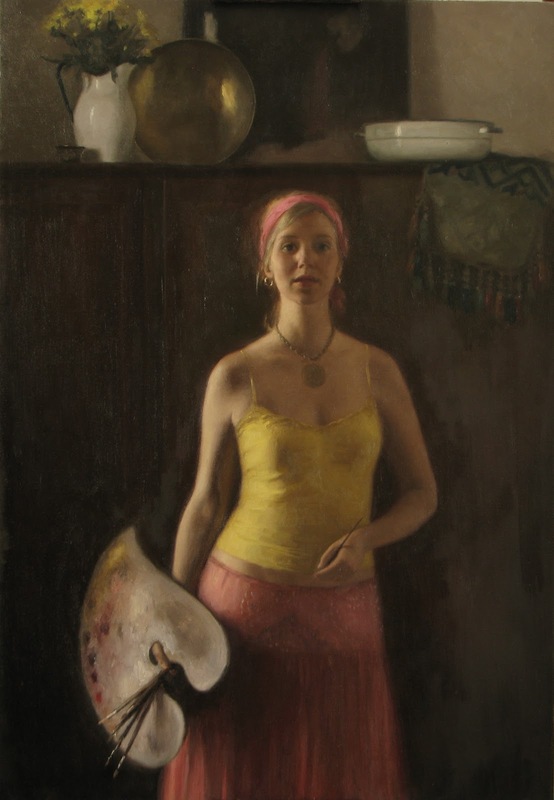 Ha conseguito la laurea (Bachelor of Fine Arts-BFA) presso l'Università di Victoria, British Colombia in Canada nel 2003. 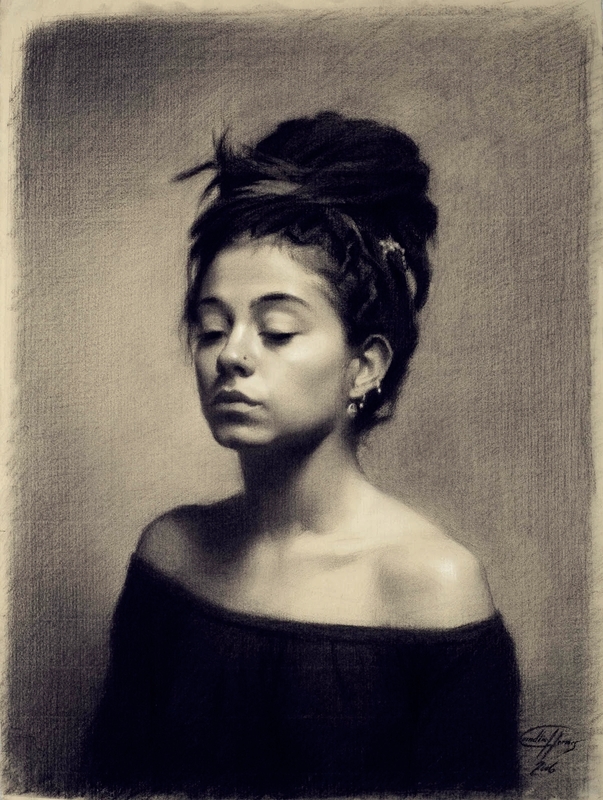 In Università entra in contatto con i paradigmi dell'arte concettuale, ma lei decise di perseguire verso il realismo classico. 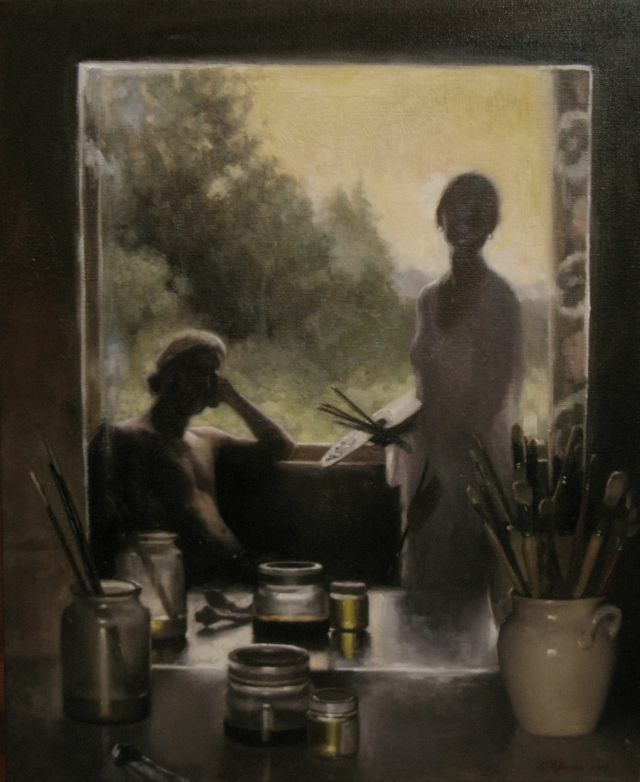 Si è laureata presso l'Accademia d'Arte di Firenze in Italia, nell'estate del 2007 ed è rimasta a Firenze per altri due anni presso la FAA (the Florence Academy of Art) come istruttore principale. 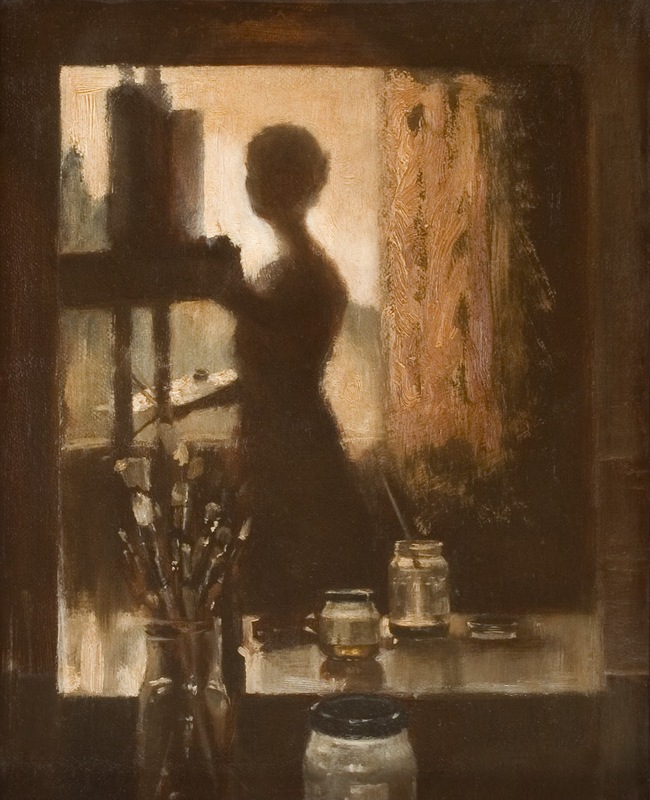 Attualmente vive in Svezia, dove insegna disegno e pittura presso l'Accademia d'Arte di Firenze a Gothenburg.